His World Cup didn’t happen for him, but there was that injury and then there was the fact that it was international football – which is only marginally above international friendlies in the footballing food chain. 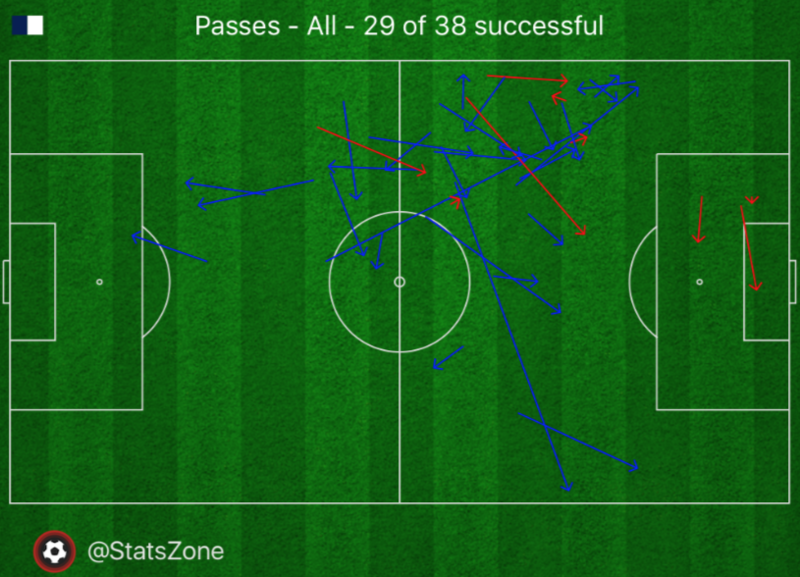 29 successful passes out of 38 showed that whilst he wasn’t the most influential player on the pitch (close to him in the involvement stakes was the frankly rubbish Yedlin) what he did do, he did well. It is no coincidence that our midfield trio of Sissoko, Dele, Moura and Eriksen all made for peripheral figures. What separated Eriksen and Dele from the dross was their ability to contribute effectively, even from the margins. Eriksen set up 5 chances from his 47 successful out of 55, passes. What you get with Dele is an opportunistic shadow striker, who does close to no work at all terms of creating, but when he does get his positioning right, boy does he get it right. Just imagine what he could do if he joined in more.